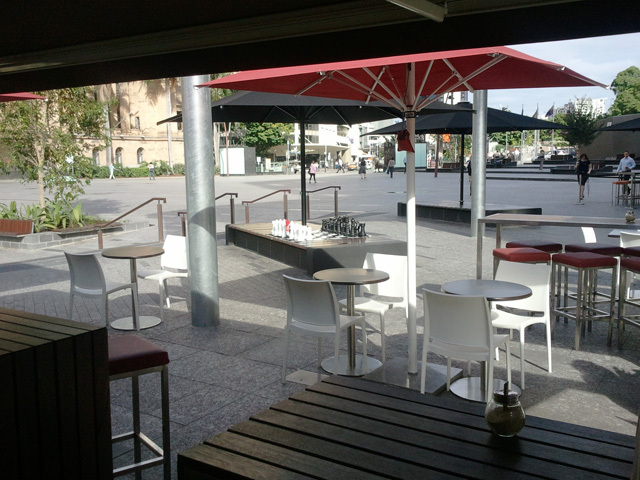 In the Brisbane CBD, there is a cafe called Coffee Hit on King George Square. I was in the city early for an Interactive Minds event, and I needed to get some form of caffeine. Coffee Hit looked promising, in a generic CBD cafe way. And they met my expectations, in a generic CBD cafe way. Except for one thing. 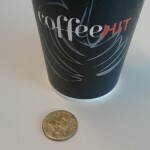 The change that they gave me for the coffee. The dollar coin was damaged. Well, defaced. Scoured is another good word for it. Ground down would also work, maybe even savaged, if I wanted to use something more emotive. Both sides of the coin had been very comprehensively scratched, possibly obliterated, you might even say brutally torn into. All trace of the Queen, and the unique Australian wildlife that decorated its once unmolested form had been remorselessly eradicated, like kangaroo genocide. That is completely unfair. 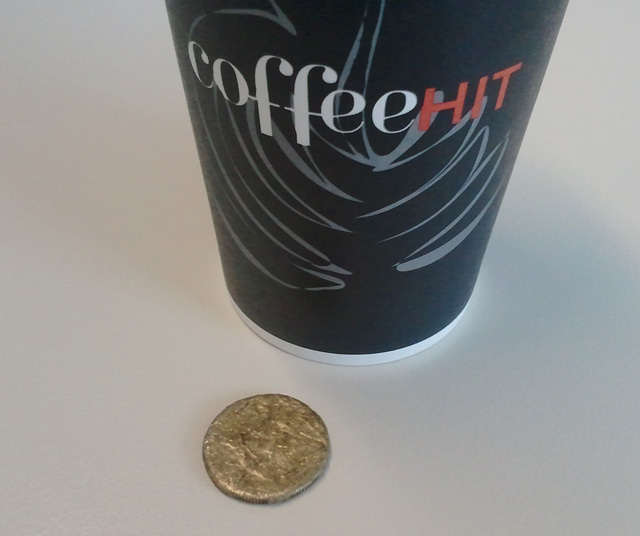 I gave them real money for the coffee; it seems a little mean to give me something that almost wasn’t change. It’s nearly as bad as getting New Zealand money. The coffee itself was OK. Like a lot of rather ordinary long blacks, it was a little too bitter. Since it was also boiling hot, that wasn’t a real surprise. Like their coffee, the prices were in line with most other CBD cafes as well. Nice location though. Seriously, what am I going to do with that one dollar coin?